Should you upgrade to Windows 8 while it's still $40? Thursday marks the last day of January, and this particular flip of the calendar brings about the end of more than just another month. Jan. 31 is the last day you'll be able to pick up an upgrade license to Windows 8 Pro for the dirt-cheap price of $39.99 (or $69.99 if you want a physical disc). Starting in February, the price of a Windows 8 Pro upgrade license skyrockets fivefold to the full retail price, a much, much less wallet-friendly $199.99. The time for fence-straddling is over, folks. But does that mean it's time for you to take the plunge into Windows 8, while the price is still as low as it is ever likely to plummet? Not necessarily. Setting the money talk aside for a minute, whether you actually need Windows 8 the big question. Nabbing Windows 8 Pro for $40 is only a deal if you want to move to Windows 8—otherwise, it's just $40 down the drain. There are credible arguments for adopting Windows 8, and there are credible arguments against adopting Windows 8. Three months in, we're going to have to stick with the decree we made in our original Windows 8 review: If you're a perfectly happy Windows 7 user, the new operating system doesn't offer a compelling reason to upgrade. You'll need to learn a new, less-than-intuitive interface, the Windows Store (which stocks modern UI-style Windows 8 apps) is still woefully barren, and the operating system's controls simply work better on a touchscreen—a capability that many PCs under upgrade consideration simply don't have. Charms: You get used to 'em. All that said, I've been using Windows 8 on my desktop for months now and I'm glad I made the switch. The once-confusing controls quickly become second nature when your brain acclimates to hot corners, and my early fears about the jarring switch between the desktop and the Live Tiled Start screen proved unfounded. I ignored the default modern-style apps (like Mail—bleh) in favor of tried-and-true desktop alternatives, and now that I've stocked the desktop taskbar with my most-used software, I virtually never see the Start screen except to search for specific, rarely used programs. Between a bevy of under-the-hood improvements—once you're used to Windows 8's ultrafast boot times, going back to a Windows 7 PC is excruciating —and the seamless, multi-PC experience enabled by the cloud connectivity of SkyDrive and a Microsoft Account, Windows 8 basically feels like a smarter, faster, better version of its predecessor after you've tweaked it to your liking and spent some time learning its nuances. I dig it. You might not, and as I said, Windows 8 is far from a must-have upgrade for Windows 7 users. If you're at all inquisitive about the operating system, however, sating your curiosity for $40 makes more fiscal sense than doing it for $200—especially considering Windows 8's divisive reception. Whew! Now it's time to talk dollars and cents. Here are the new price points for Windows 8 products as of February 1, 2013 . The decision seems like a no-brainer. If you plan on upgrading your Windows 7, Vista, or XP system to Windows 8 at any point in the future and you have the extra $40 to spend now, you definitely want to buy an upgrade license while they're cheap, especially since that $40 gets you the fuller-fledged "Pro" version of the operating system. 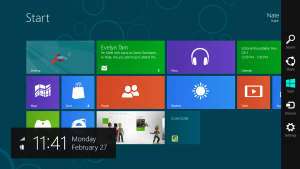 The Windows 8 Upgrade assistant screens your apps prior to installing the OS. A company spokesperson told me that there is no deadline for installation on the discount licenses. In other words, if you buy a $40 license today, you'll be able to sock it in your pocket for later and upgrade your PC to Windows 8 Pro a year (or more!) from now. Multi-PC households take note: Microsoft allows you to buy up to five upgrade licenses at the $40 price point. You might want to get around to upgrading to Windows 8 sooner rather than later if you plan on using Windows Media Center, though. Unlike Windows 7, Windows 8 doesn't include the Windows Media Center software (or DVD playback capabilities) by default. In fact, the Windows 8 Media Center Pack will actually set you back $9.99—but only if you don't act quickly. If you're running Windows 8 Pro and ask for a product key for the Windows 8 Media Center Pack by the end of the month, Microsoft will send you one absolutely free. You'll have to install WMC immediately, however. The same Microsoft spokesperson told me that "The [WMC] product key must be activated no later than January 31, 2013 or it will not be valid." What if you aren't upgrading? This doesn't really have anything directly to do with the upgrade offer, but if you're planning to custom-build a PC anytime soon and have your heart set on Windows 8 Pro, it might just be prudent to buy a stand-alone, non-upgrade license now. Currently, Windows 8 Pro System Builder—the version needed by DIYers—retails for $120 to $130 online. I asked Microsoft if the cost of Windows 8 Pro System Builder would increase on February 1, as the price of a Windows 8 Pro Upgrade license is set to jump to $200 on that day. I was told that "Microsoft doesn’t publish estimated retail pricing for the System Builder product; it is up to retailers to set their own ERPs depending on the amount of margin they would like to make on the product." That said, don't expect Windows 8 Pro System Builder to retail for less than the Upgrade license, especially since the older Windows 7 Professional still costs $200 and up at most online retailers. If you're planning to buy Windows 8 Pro System Builder any time soon and have the cash available now, smart money's on snagging a copy by the end of the month. Note: This article has been updated to remove an erroneous sentence about dual-booting with a Windows 8 upgrade license.